How is IMDb for iPhone, iPad and iPod touch different than the regular IMDb website? The iPhone, iPad and iPod touch versions of IMDb have access to all title and name pages. We offer our most popular data items in the app. You can also sign in to rate movies and TV shows, manage your Watchlist, create and share title lists, check in and share what you are watching, and set your favorite theaters. The IMDb app is currently available worldwide in all iTunes App stores. App menus are available in English, Spanish, German, French, Italian, Portuguese, Japanese, Korean, Chinese and Brazilian Portuguese languages. Is there an IMDb app available for Android or other phone platforms? We also have an app for Android. Our mobile site, m.imdb.com, offers a fast way to get just the right amount of information on the go from other mobile devices. Is an Internet network connection required to use the IMDb app? 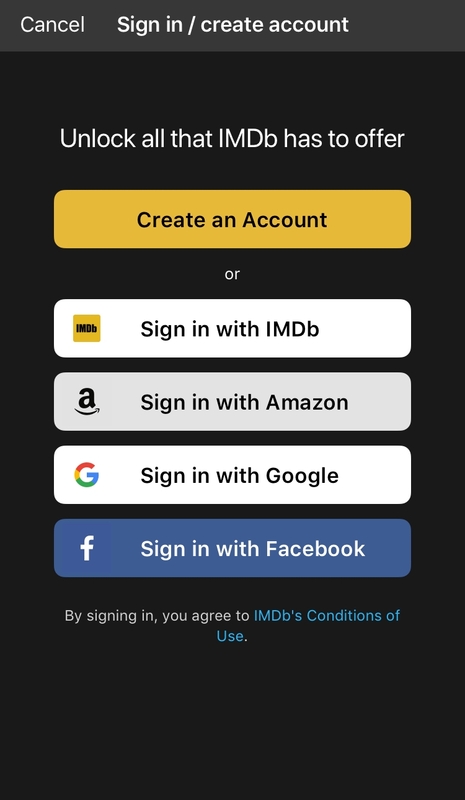 Yes, the IMDb app requires an Internet connection as IMDb data is retrieved live from IMDb. 1. From the home screen, select the menu button in the upper right corner.